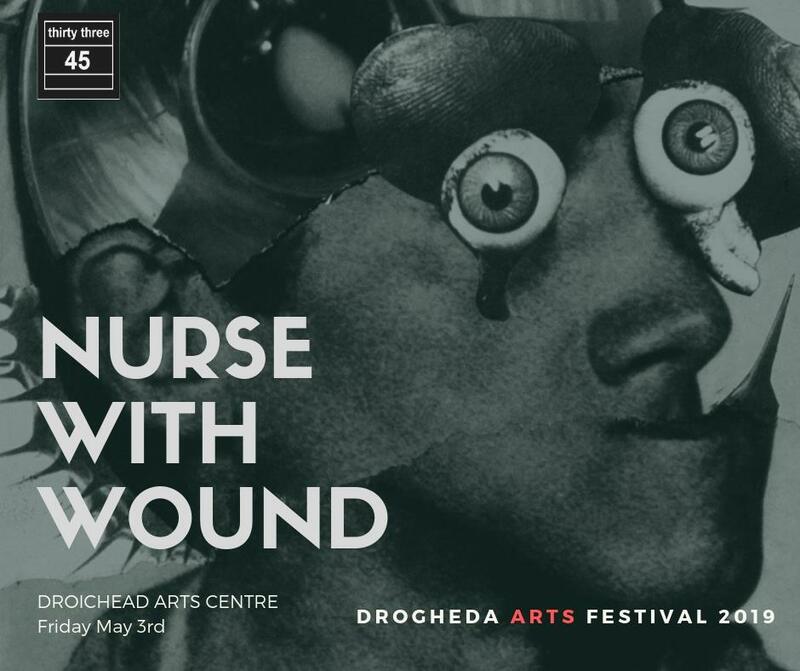 ‘thirtythree-45’ in association with the ‘Drogheda Arts Festival’ are delighted to present the first Irish concert in 10 years by the enigmatic ‘Nurse With Wound’. Nurse With Wound has been Steven Stapleton’s main musical outlet for close on 40 years. Stapleton’s eclectic tastes in art, film and music is often reflected in the broad and often unpredictable music of NWW, an output of which draws directly on nearly every musical genre imaginable yet consistently retains a distinctively and recognizable Nurse With Wound ‘sound’. There are now over 50 full-length NWW titles aswell as appearances and collaborations on records by many other artists including Stereolab, Sunn-o, Current 93, and Larsen to name but a few – as well as work as a producer, remixer and, more recently, a critcially acclaimed soundtrack composer. Interestingly NWW claim that each live appearance is a rehearsal for the next show and no two shows have ever been the same. The NWW live experience is kept unique by featuring an array of different and ever evolving guest musicians. As well as his musical output Stapleton is a highly accomplished and renowned painter and sculptor often working under the guise of ‘Babs Santini’.